AmaZing pictures! So funny yet ladylike. You look pretty! This shooting is super fun! Awesome background! I'm loving the print mixing and the crab purse is too cool! Oh dear this is so cute!! Love the background and is amazing. I'm loving the print mixing too. 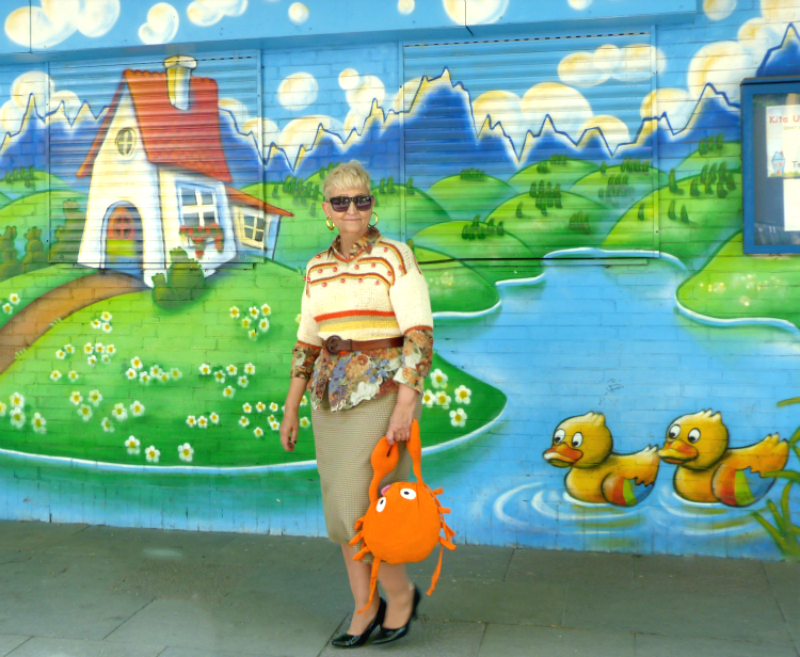 Perfect outfit , location and bag!I love the colors on the sweater. Did you make it? Your creativity astounds me. You are always a delightful surprise and today is no exception! Woow! It`s really amazing and cool, dear! LOVE!!!!! Fab look and how perfect is that purse?! This is absolutely heartwarming! What a lovely lovely scene! I really enjoy the color and patter mix here - very harmonious, with fun details. The purse makes me smile! 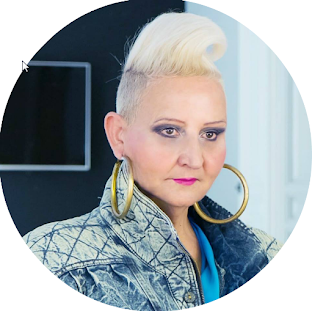 And yes, I would love to meet with you and chat sipping tea or coffee, my dear! :) I believe it's possible one day! Oh I love it! Those ducks are after your crab! Muero de amor con el cangrejito Sacramento, qué genial eres. How sleek you look in your outfit ... showing your figure to excellent advantage. Even the ducks agree! I have had trouble wearing shorter sweaters in the past. Well no more! Now I know what to do thanks to you!!!! The crab purse. Are you serious? The crab purse. 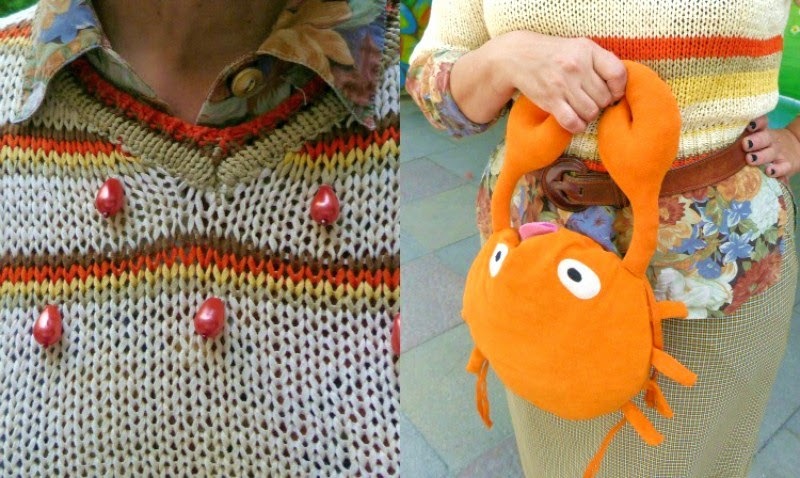 THE CRAB PURSE!!! How cute that the duckies are admiring your crab bag! Such a fun look. Love it!